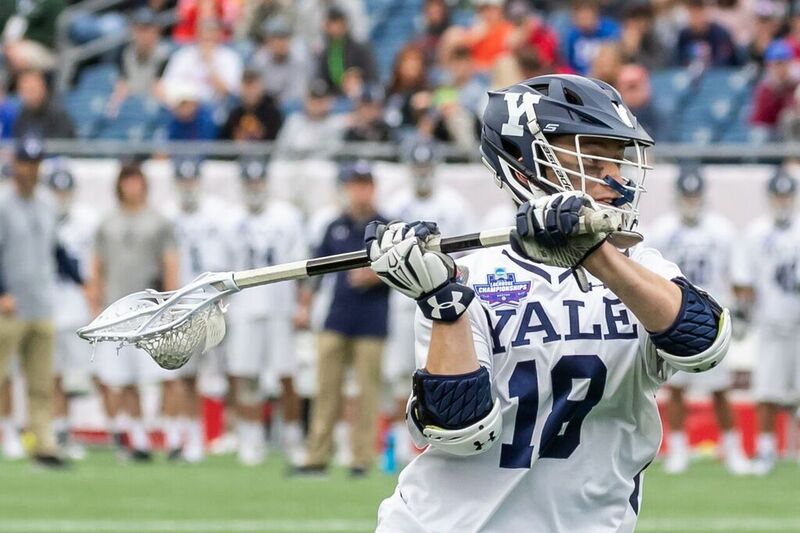 Boston, MA - (February 22, 2019) - Major League Lacrosse (MLL) takes a look into draft prospect and Yale midfielder, Jack Tigh. Tigh may be one of 63 players selected in the draft. Last season with the Yale Bulldogs, in addition to being crowned a 2018 NCAA Champion, Tigh earned numerous accolades. He was unanimously named First-Team All-Ivy League, First Team NEILA All-New England Team, NCAA Championship Weekend All-Tournament Team, USILA All-America, Tewaaraton Award watch list and finished the season with the 17th most goals (35) in school history for a single season. In the first game of this season, while the Bulldogs suffered a tough loss, Tigh got off 10 shots, scored 4 goals and caused 1 turnover. Tigh is a product of Long Island, where he was a four-year letter winner in both lacrosse and football at Chaminade High. Yale University is an American private Ivy League research university in New Haven, Connecticut. The Yale Bulldogs' men's lacrosse team was founded in 1882. The Bulldogs have competed in the NCAA tournament 9 times, and they won their first National Championship last year. Their current coach is Andy Shay. Preseason active rosters in Major League Lacrosse feature Bulldogs such as Brandon Mangan (Atlanta Blaze) Chris Keating (Dallas Rattlers) and Mark Glicini (Chesapeake Bayhawks). Will Jack Tigh follow these Bulldogs into the ranks of Major League Lacrosse? Tune into Lax Sports Network on March 9 at 7pm to see if Jack Tigh will be one of the 63 players to be drafted in the 2019 MLL Draft presented by Cascade.